Item:U.S. Navy Lockheed Martin F-35B Lightning 2017 Stealth multirole fighter 1/100. Materials: Diecast. Scale : 1/72. I apologize for any inconvenience this may cause, and appreciate your assistance in helping us do better. The model is1/400 scale and in great condition. The box and plastic shell have yellowed. McDonnell F-4D Phantom II 435th Tactical Fighter Squadron, 8th Tactical Fighter Wing, USAF Ubon AB, Thailand, 1967. CA72DB01 . Calibre Wings. 1/72 OCEAN LOW PASS DIORAMA BASE. There are 2 thin wires to form the "arc" in which the included synthetic cotton is laid over to create the "water jet" effect. The model is1/400 scale and in great condition. 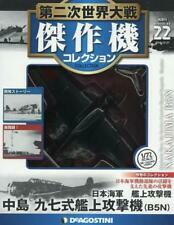 Set of 2 aircrafts Edition Atlas "Duelling Fighters". Defence of the Reich. This plane model miniatures the airplane. 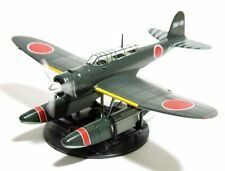 For model aircraft enthusiasts,it can be a valuable collectable. Plane: Alloy. 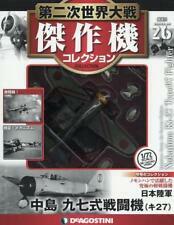 Can use this model to exercise children's and adult's ability of making aircraft model. With display Bracket. Static Model. 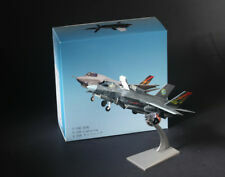 Model: 6573, F-14A TOMCAT US Navy VX-4, Black Bunny. Jack O'Neill Exclusive Case Topper from Startgate SG-1 Series ?? by Diamond Select. New in Package, has some shelf wear. Specializing in Toys, Comic Books, and Miniature Games. AeroClassicsBoeing B 747-129M Sabena OO-SGB 1:400 ACOOSGB. Black Ops Daniel Jackson, Stargate SG-1, Series 3 , Unpainted Exclusive Case Topper from Diamond Select. New in Package, has some shelf wear. Specializing in Toys, Comic Books, and Miniature Games. ERTL US Air Force 9th Military 17979 979 10"
Sky Guardians Europe Tornado F3 RAF 43 Sqn.